India: Has Demonetization Achieved its Stated Objectives? 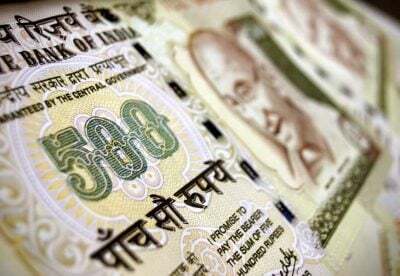 On August 30, 2017, the Reserve Bank of India released its Annual Report for 2016-17 which revealed that 98.8 percent of scrapped currency notes has come back into the Indian banking system. This mind-blowing statistics has put a serious question mark over the efficacy of demonetization move because it was anticipated by the government that a large portion of scrapped currency notes might not come back into the banking system. People were asked to deposit scrapped currency notes in their bank accounts by 30th December and were allowed to exchange them with notes of other denominations subject to certain limits and conditions. The central government and the RBI outlined three key objectives of demonetization: to curb black money and corruption by preventing hoarding of cash; to prevent counterfeiting of currency notes; and to fight against terrorism by cutting off cash funding of terrorist groups operating in India. Due to the withdrawal of legal tender character of Rs 500 and Rs 1,000 notes, about 15.44 trillion rupees worth of the currency notes (about 86 percent of the total currency) were removed from circulation. In ‘Currency Management’ chapter of annual report, the RBI noted: “Subject to future corrections based on verification process when completed, the estimated value of SBNs received as on June 30, 2017, is 15.28 trillion.” In simple words, 98.8 percent of banned currency notes returned into the banking system after the demonetization. Hence, the expectation that the demonetization would force people to destroy their illegitimate cash in order to escape scrutiny from tax authorities simply did not materialize. These statistics have been eagerly awaited as the exact figure of the returned currency notes would reveal the effectiveness of demonetization move. It is beyond comprehension why the RBI took so long to reveal the official data. In the initial weeks of demonetization drive, the RBI was releasing the data pertaining to return of banned currency notes but this practice was stopped midway without any explanation. Till July 2017, the RBI had maintained that it could not tell the exact amount of banned notes received by it as the counting process is not yet over. Until the RBI released its annual report on August 30, the official numbers were not publicly revealed even though many critics had estimated that the return of banned currency notes would be higher than 95 percent. The overarching objective behind the demonetization move was to flush out black money or illegally-acquired cash from the financial system. The RBI data lends credence to widely held claims that people hoarding black money gamed the system by converting their illegal currency into legal tender through various means including parking banned currency notes in the bank accounts of poor and low-income individuals. Millions of bank accounts were opened during a massive financial inclusion scheme – Jan Dhan Yojana – in 2014. Post-demonetization, a surge in deposits in Jan Dhan Yojana bank accounts was witnessed in both urban and rural areas. Of course, this is not the entire story as other creative methods were used by black money hoarders to convert and use banned currency notes. In addition, significant amounts of black money in the form of new currency notes was sized across the country during the demonetization period thereby questioning the logic of whole exercise as an effective and credible deterrence to black money. In sum, the very objective of demonetization to eliminate black money from the economy stands defeated. When it appeared to the government that bulk of illegal currency might return to the banking system, it began shifting the goalposts by adding new objectives of demonetization move. Hence, policy objectives such as promoting digital transactions and taking country towards a “cashless” economy (subsequently modified to a “less-cash” economy) were added later. The goal to make India a cashless economy seems more as an afterthought plan. These objectives, despite desirable, were not listed in the earlier official notifications. How far the demonetization policy has been able to achieve other stated objectives? Let’s begin with fake Indian currency notes (FICNs) which the currency demonetization exercise was expected to curb its circulation and thereby reining the activities of anti-social elements. In order to justify the demonetization move, Niti Aayog member Bibek Debroy claimed that fake notes worth Rs 20,000 million are in circulation. In reality, the government has not detected a large volume of fake currency notes in circulation within the country despite eight months have passed after demonetization. The RBI’s annual report also noted that the face value of fake Indian currency notes (FICNs) of Rs 500 and Rs 1000 denomination was merely Rs 410 million during 2016-17. If the total face value of FICNs is so meagre, why massive disruption in economic activity was caused by demonetization? Wouldn’t it have been better to curb the circulation of counterfeit currency through printing of new currency notes containing high security features that are difficult to replicate? As far as the impact on terror funding is concerned, there is very little evidence to suggest that the demonetization has curtailed it significantly. Another much-touted objective of demonetization was to promote the use of digital transactions and move towards a “cashless” economy. There is no denying that the number of digital transactions (via Paytm, MobiKwik and other electronic payment methods) grew rapidly in November and December 2016 in the aftermath of demonetization but such transactions have started showing a declining trend since March 2017 when cash money supply became normal. It is worth noting here that much of the increase in digital transactions took place in urban areas where people have easy access to PoS machines, internet banking and mobile wallets. Whereas in the rural areas where people still rely on cash, digital and other kinds of cashless transactions will take years to penetrate because of lack of electricity, internet and other infrastructure. Hence, a shift in payment patterns may happen gradually throughout the country. Rather than banking on demonetization which is essentially a one-off event, the government should develop a long-term perspective on how to create favorable ground conditions for promoting digital transactions and moving towards a less-cash economy over the long run. Nothing is stopping the central government to take steps in this direction. Furthermore, it would be erroneous to treat all cash transactions as part of illegal money as millions of poor households and small businesses daily use cash for legitimate transactions. Despite growing economic concerns, the government has vigorously defended the demonetization move on the grounds that the benefits will accrue over the medium and long term. The government claims that one of the major offshoots of the demonetization drive would be significant rise in direct tax collections. It expects that the number of income tax payers would increase substantially as demonetization has brought many people under the tax net. The government is of the view that the widening of tax base would improve India’s tax-to-GDP ratio which remains very low as compared to other emerging economies. Two points are important to note. The first point is that it is too early to make any assessment of the impact of demonetization on India’s direct tax base. The direct tax data available till now does not suggest a dramatic improvement in the tax base post-demonetization. Perhaps one needs to wait till 2018 to know whether demonetization led to widening of tax base and tax collections. The second point is that the increase in income tax collections during 2016-17 should be largely attributed to Income Declaration Scheme (2016) which came into effect from June 1, 2016. The Scheme gave an opportunity to people who have not paid full taxes in the past to declare the undisclosed income and pay taxes. The government expects to collect Rs 300,000 million in tax revenue under this one-off scheme. The Finance Ministry also claims to investigate a vast number of suspicious cash deposit transactions reported by the banking system. Using the advance data analytics tools, the income tax department has identified 556000 individuals whose tax profiles are found inconsistent with the money deposited by them during the demonetization period. Given the limited manpower with the income tax department, investigating such a large number of new cases is not going to be an easy task. Furthermore, the manner in which Indian tax authorities have handled the recent cases of tax evasion inspire little confidence. Take the case of leaked Panama Papers which were released last year. The Indian tax authorities have yet to net a “big fish” listed in Panama Papers. There are more than 500 Indians named in the Panama Papers but the tax authorities have made little progress on that front. A larger point is that some of the purported long-term gains such as investigation of suspicious transactions and widening of tax base could be well pursued without demonetization which disrupted the economy activity and caused severe hardship to common man. The income tax and other authorities have all the necessary policy instruments at their disposal to use them in the pursuit of these objectives. India’s GDP growth slipped to a three-year low of 5.7% in the first quarter (April-June) of fiscal 2017-18. The disruption caused by demonetization played a role in the slowdown along with other factors such as GST (goods and services tax) destocking. Demonetization had a debilitating impact on India’s vast informal sector, which employs more than 90 percent of country’s workforce. The cash crunch badly affected the daily wage labourers, street vendors and informal sector workers who rely solely on cash for income and expenditure. There are several reports highlighting the massive job losses in the labour-intensive sectors in the aftermath of demonetization. Consumer confidence fell sharply during demonetization. The much anticipated pickup in discretionary consumer spending has not been observed despite remonetization. Credit growth witnessed a historic low of 5.1 percent during the second half of 2016-17. In particular, bank loans to rural areas were badly affected as the growth in rural loans plummeted to 2.5 percent. As part of remonetization of currency notes, the RBI had to incur massive expenditure on the printing of new currency notes. The costs of printing new notes were Rs 79,650 million, about 133% higher than the previous year. It also contributed to the decline in the RBI’s surplus payable to the central government from Rs 658,760 million in 2015-16 to Rs 306,590 million in 2016-17. The poor execution of demonetization move resulted in long queues outside bank branches as people waited for hours to deposit and exchange the demonetized notes. To conclude, the government needs to explain why it pursued a shock and awe strategy through demonetization when it already has a wide variety of policy instruments to achieve same objectives? Kavaljit Singh works with Madhyam (www.madhyam.org.in), New Delhi.